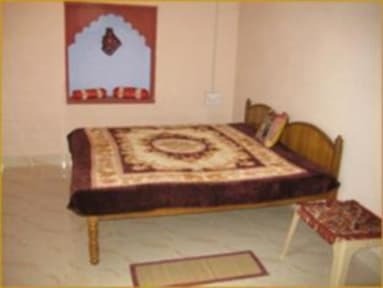 Our house provide you indian familiar atmosphere to understand Indian culture inside the houses. we have 9 different rooms for our value guest. 2 rooms are with A/c and all room private bathroom with 24 hours running hot/cold water. we provide FREE WI-FI as well. this guest house family managed place.This spotless and friendly guest house is very centrally located in the heart of the city. A great rooftop restaurant with a fort view. 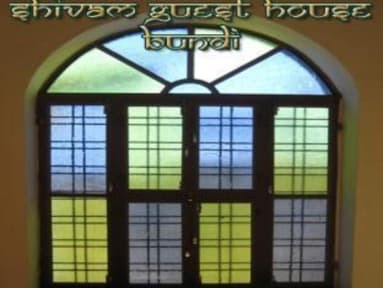 The rooms are spacious with attached hot and cold shower,t.v with international channels,toiletries,etc.The rooms are decorated with an ethnic touch shivam tourist Guesthouse is a family Guesthouse that provides a warm,friendly environment for travelers visiting bundi . We are Recommended by the Lonely Planet ! ( 2009-10-11). It is run by a small family who are friendly, trustworthy and eager to help their guests.We have a homely and safe atmosphere in an Indian style budget guesthouse, with delicious home -cooked Indian specialties.We provide a comfortable environment where travelers can relax after a day of sight seeing in the cool peacefully bundi(hill City). Simple, clean and spacious rooms with comfortable beds, en suite or shared bathrooms with hot/cold showers. Balconies and cable TV are available in some rooms and all rooms have locks, and after chek-out u can left ur bag's in the guest house b'coz we have clock room in my guest house so your things are secured. Internet with WI-FI is available in lobby. Same day laundry for an additional fee, plus rooftop terrace for relaxing and sunbathing. This is probably the best place we've stayed in India so far! The rooms were tastefully decorated and everything was clean. The place overall was charming, with a nice rooftop view and good cooking. But most of all Montu and his family were super helpful, and such a pleasure to stay with. Constantly giving us help if we needed it, and just overall nice people, adding a warm atmosphere to the place. Would definitely recommend to anyone going to Bundi! I oved Shivam. lovely family. Would stay here again. Great, very basic guesthouse in the heart of Bundi. Bundi is pretty small so it's easy to get around. This place was a little soulless in terms of interacting with people if you're a solo traveller, however the help you receive from staff is outstanding. One of the staff met me at 2.45am & ensured I got from Bundi station ok (15mins on a dusty highway). Also great help with all travel plans. Very kind people, with the family all living downstairs. A little slice of authentic India living. This was a lovely place to stay, I felt very relaxed. The staff were cheerful and helpful. The food was really good. I wish I'd stayed longer. My friend and I really enjoyed our stay at Shivam Tourist Guest House- thank you! The property was centrally located and walking distance from many sights in Bundi. It was useful to have wifi and laundry facilities avaliable and the family were very welcoming. We would definitely recommend Shivam for a friendly, good-value and comfortable place to stay in Bundi :) Thanks again!